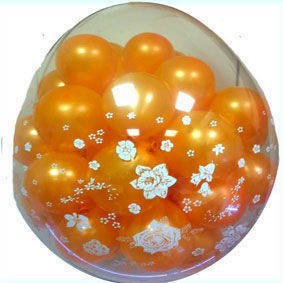 Balloons Surprise transparent balloon 60 cm whit inside fantasy of balloons modelling. Balloon Surprise is a decorated transparent ball, diameter 60 cm, with balloons inside it round 5 "" ballons in colors of your choice selected from the drop-down menu. Ball suitable for any occasion with explosion effect. 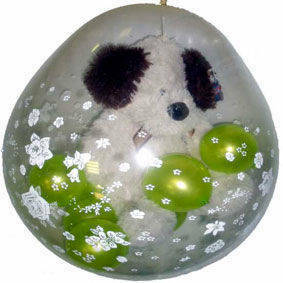 Balloon Surprise is a decorated transparent ball, diameter 60 cm, with balloons inside it round micro ballons in colors of your choice selected from the drop-down menu + a little Puppet Dog. Ball suitable for any occasion with explosion effect. 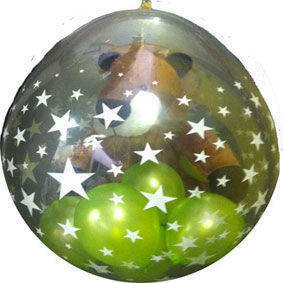 Balloon Surprise is a decorated transparent ball, diameter 60 cm, with balloons inside it round micro ballons in colors of your choice selected from the drop-down menu + a little Puppet Lion. Ball suitable for any occasion with explosion effect. 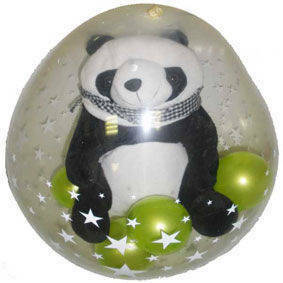 Balloon Surprise is a decorated transparent ball, diameter 60 cm, with balloons inside it round micro ballons in colors of your choice selected from the drop-down menu + a little Puppet Panda. Ball suitable for any occasion with explosion effect. 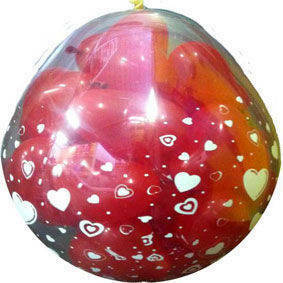 Balloon Surprise is a decorated transparent ball, diameter 60 cm, with balloons inside it red heart 5"" ballons. Ball suitable for any occasion with explosion effect.